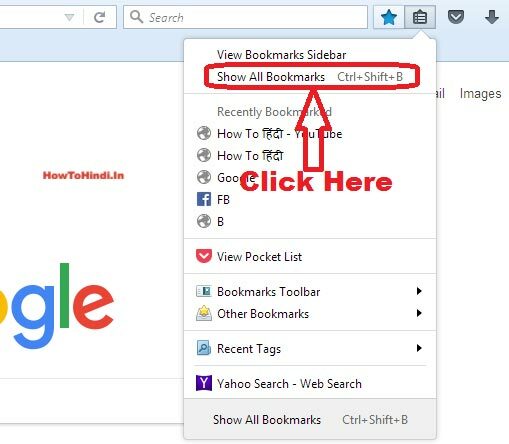 pixel How to Move / Transfer Bookmarks From One Computer To Another in Mozilla Firefox Browser in Hindi ? How to Move / Transfer Bookmarks From One Computer To Another in Mozilla Firefox Browser in Hindi ? 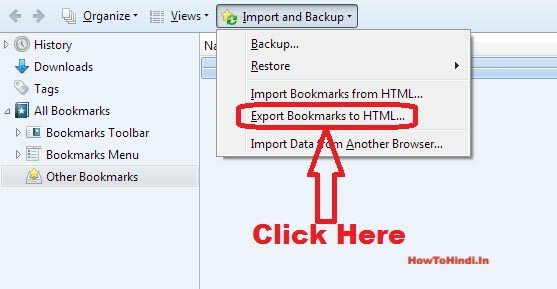 How to Move / Transfer Bookmarks From One Computer To Another in Mozilla Firefox Browser ? 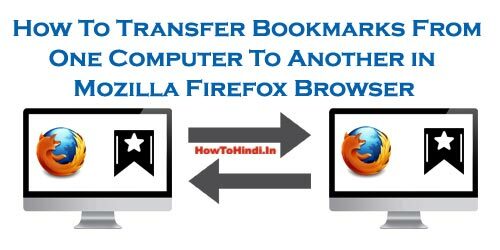 नमस्कार दोस्तों आज के इस पोस्ट में हम आपको Mozilla Firefox Browser के Bookmarks को एक Computer से दूसरे Computer में Transfer करना सिखाएँगे (How to Move / Transfer Bookmarks From One Computer To Another in Mozilla Firefox Browser) | वैसे तो दोस्तों आप सभी जानते ही होंगे की Bookmark क्या होता है | यदि आप नहीं जानते हैं तो फिर हमारे इस वाले पोस्ट को पढ़ें - What is Bookmark and How to Enable Bookmark Toolbar in Google Chrome ? 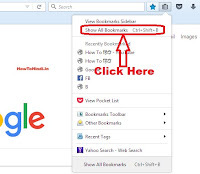 दोस्तों यदि आप अपने Google Chrome Browser के Bookmarks को एक कंप्यूटर से दूसरे कंप्यूटर में Transfer करना सीखना चाहते हैं तो हमारे इस वाले पोस्ट को पढ़ें - How to Move / Transfer Bookmarks From One Computer to Another in Google Chrome Browser in Hindi ? इसे भी ज़रूर पढ़ें - Top 10 Keyboard Shortcuts in Mozilla Firefox Browser That You Should Know ! 1.) How to Allow / Disallow Popups in Mozilla Firefox Browser ? 2.) 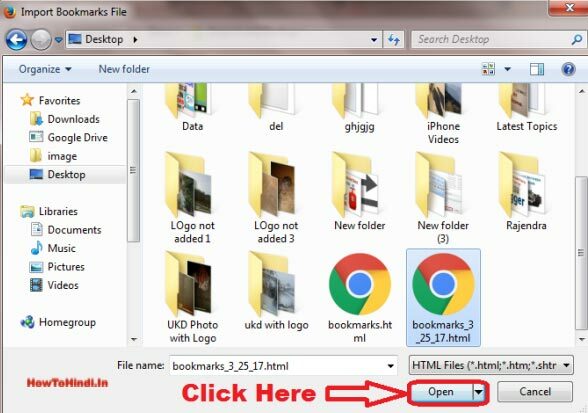 How to Take Screenshot of Entire Webpage in Mozilla Firefox Browser ? 3.) 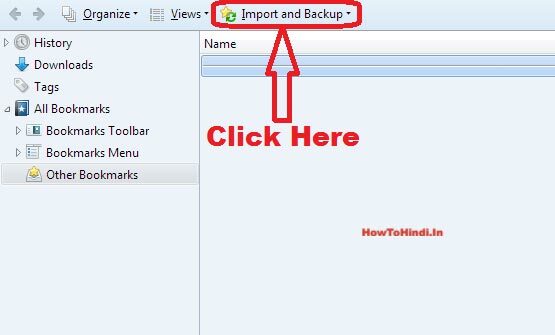 How to Integrate IDM (Internet Download Manager) to Mozilla Firefox Browser in Hindi ? 4.) 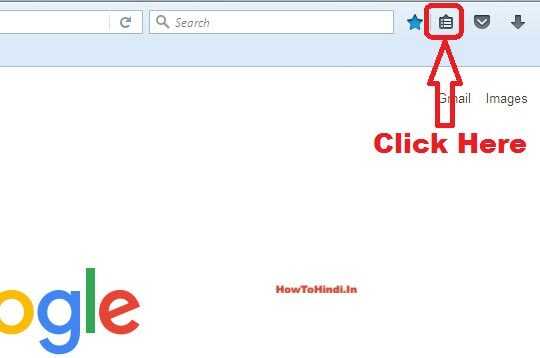 How to Set Google as Homepage in Mozilla Firefox Browser ? 5.) 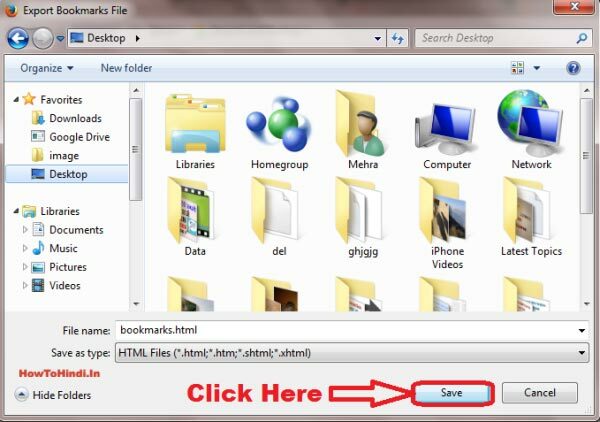 How to Delete Mozilla Firefox Browser History and Why ?